Balladins Cergy Préfecture Cergy, Hotel France. Limited Time Offer! 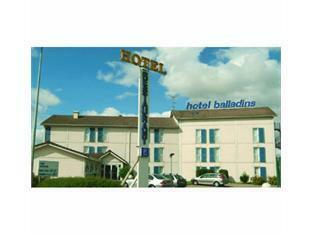 Balladins Cergy Prefecture. 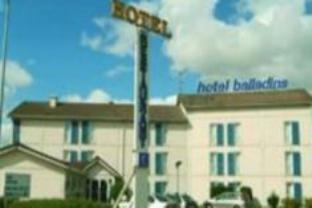 "Balladins Cergy Prefecture" is situated in Cergy. A total of 58 bedrooms is featured. Noise and heat will not be able to disturb you since the bedrooms are soundproof and equipped with air conditioning. Enjoy some fresh air in the private garden. At this hotel, you can take part in various activities, like fishing and birdwatching. There is also a more sporting activity offered, namely golf. The sports facilities include a golf course and a walking trail as well as a bike rental service. For a drink in the evening, you can take a seat at the lounge bar. After a good night's sleep, guests have the opportunity to enjoy breakfast at the accommodation. For those who like to keep an eye on business, there is free of charge Internet access available. Fusing bright, comfortable accommodation with a range of impressive amenities, this charming property presents the ideal base for a relaxing respite or an active break. In the center of the new town Cergy Pontoise. It offers a special welcome in warm surroundings. 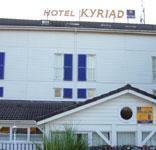 56 elegantly furnished cosy and quiet air-conditioned rooms (private bathrooms with separate toilets).